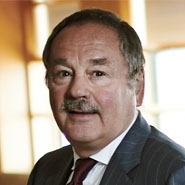 Victor Rocco is the chair of Herrick's White Collar Defense & Investigations Practice. Vic has extensive trial and appellate experience in federal and state courts and regularly represents U.S. and foreign corporations in internal corporate investigations, criminal, civil and regulatory matters, arbitrations and complex commercial disputes. Vic defends individuals and corporations in private securities actions, enforcement and regulatory proceedings, derivative lawsuits, civil antitrust matters and RICO actions. He has extensive experience in cross-border investigations and prosecutions, extradition matters, bankruptcy litigation, insurance coverage disputes and in complex commercial litigation involving licensing, business torts and breach of contract claims. Vic has represented a broad spectrum of clients who have been sued, investigated, and/or charged with violations of securities statutes and regulations including the federal RICO, Sherman and Clayton Acts, Foreign Corrupt Practices Act, Taft-Hartley Act, Hobbs Act, and Lacey Act, in addition to statutes involving money laundering; mail and wire fraud; bank, tax and bankruptcy fraud; smuggling, and export controls. Prior to entering private practice, Vic was Chief of the Criminal Division for the U.S. Attorney's Office for the Eastern District of New York and, prior to that, Chief of the Office's Narcotics section. He also served as law clerk to the Honorable John F. Scileppi, Associate Judge of the New York State Court of Appeals. Vic has been cited by Thomson Reuters’ New York Super Lawyers as one of the outstanding white collar criminal defense lawyers in New York (2006 - 2019). He also frequently lectures on RICO, complex litigation tactics, legal ethics, and trial strategies and techniques; and has taught trial advocacy at the Attorney General's Advocacy Institute, The National Institute for Trial Advocacy, the Practising Law Institute and before a number of professional groups.